As a southerner currently living in New York, I sometimes go through bouts of homesickness that feel totally incurable. 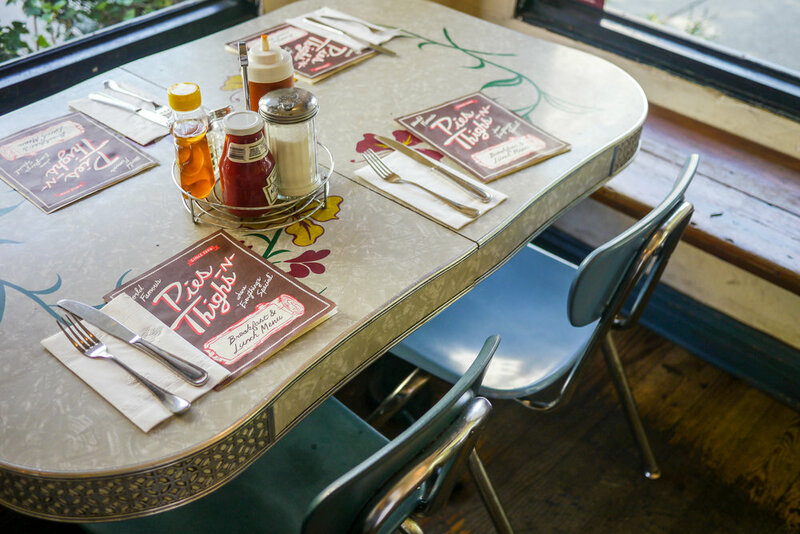 In trying to find something that would remind me of home, I found myself at Pies 'n' Thighs, a spot recommended by Passerby Carrie Schaff. With a staff that felt like family, and rooms filled with eclectic pieces you'd find at a garage sale in the middle of nowhere, my homesickness was cured and my stomach was filled. Arriving fairly early on a Tuesday morning at Pies 'n' Thighs, we were blessed with a restaurant—besides a few other customers—to ourselves. As we explored each room—there's three—we fell in love with the last. Vintage toy trucks line a miniature barn style door, and lights like the ones that likely hung in your grandmother's hang from the ceiling, making it feel like you're in the heart of the south enjoying a meal on a warm summer's day. It's very rare that I treat myself to comfort food. Despite how delicious it is, I often find myself feeling overstuffed and regretful after. At Pies 'n' Thighs, however, they have magically figured out a way to create comfort food that doesn't make you feel too awful after indulging. In fact, you may even be up for seconds. 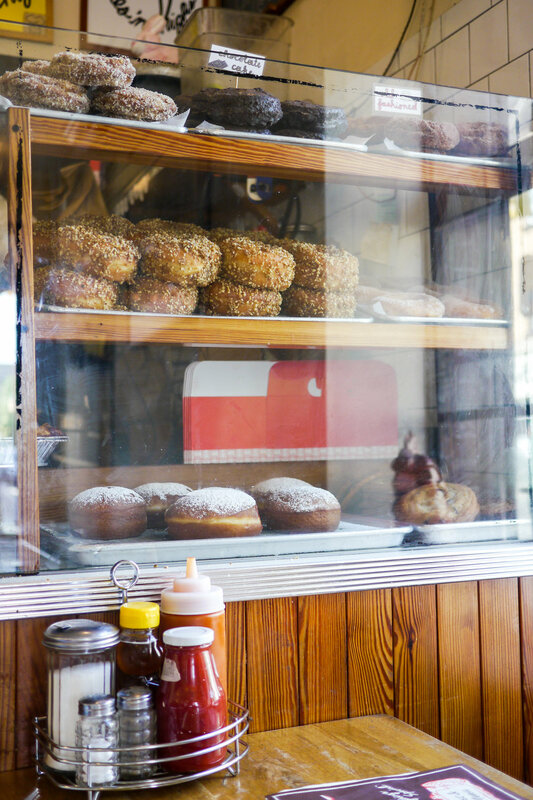 Besides having some of the best southern style comfort food in town, Pies 'n' Thighs has also been awarded the honor of making the best donut in New York. Unfortunately, we didn't save enough room to try one during our meal, but one look had me nodding my head in agreement. They're large, fluffy, and adorned with sweet powders, glazes, and candies. Given the restaurant's name,we couldn't leave without a piece of pie! All six varieties—S'mores, Apple, Sour Cherry Pear, Guava, Banana Cream, and Bourbon Pecan—are made in-house. 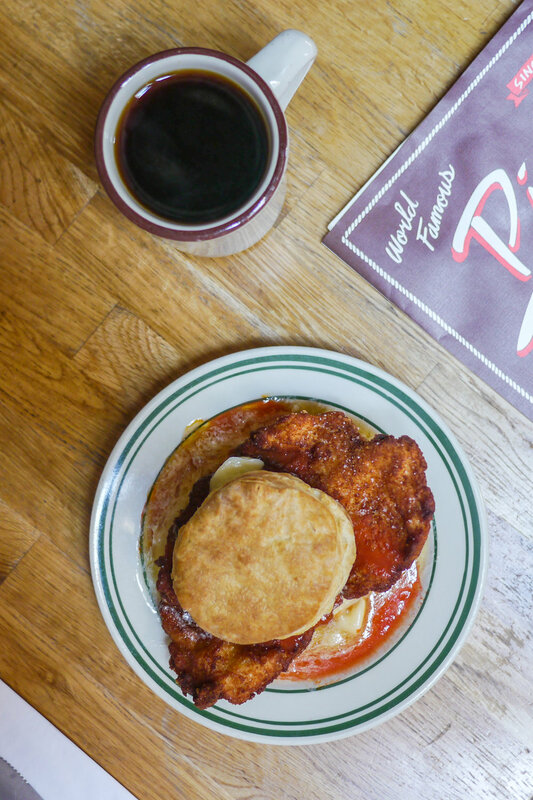 If you're looking for some southern style comfort food, head over to Pies 'n' Thighs for your fix. Or, if you want to enjoy comfort food from the comfort of your apartment, they do deliver.